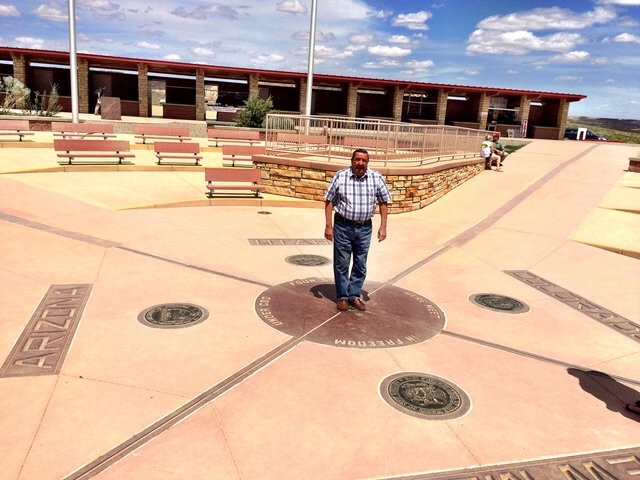 On our first GO West bus adventure in 1985, just after hiking in the Grand Canyon, our bus pulled into the famous “four corners” of the United States where the boarders of Arizona, New Mexico, Utah, and Colorado all touch in one spot. The above picture looks nothing like what we saw that morning. Located .4 mile off Hwy 166 in the high mountain desert, we turned onto a dirt road –which means the exact spot and parking lot were full of sand. Only way to know we were there was to wait until sunrise to see the official geological marker where you see the man in this picture standing. Back then, before it became a celebrated Indian National Monument, it was free to enter. Now, however, you have to pay an entrance fee per vehicle. Many of us have been to the border of another country and taken a picture of being in 2 countries at 1 time. 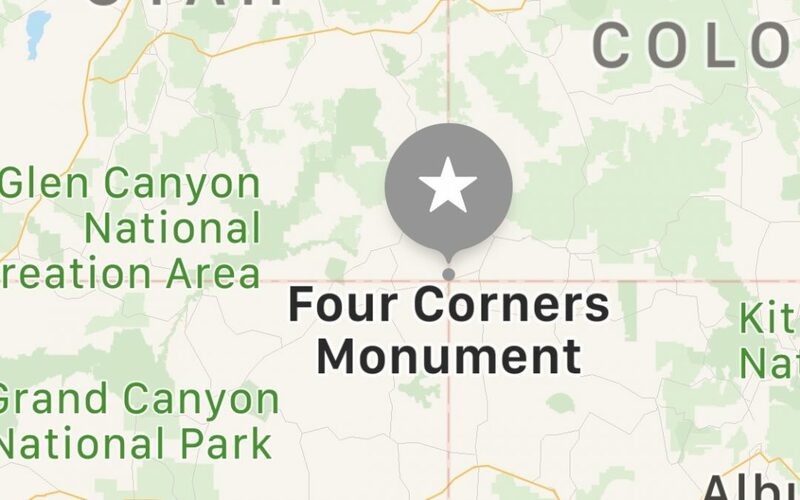 That’s what makes the “Four Corners” so unique: putting your foot in 1 spot while being in 4 states at the same time. The biggest adventure of our life will be when we step out of our earthly bodies and into heaven; the moment we cross from mortality into immortality. For those who have discovered eternal life in Jesus Christ, it’s the most anticipated & joyful day of our life. Best of all, it’s free to enter because Jesus paid our entrance fee. Are you prepared for that step? If you like to know more send “Uncle” Bob a txt or call 404-444-6956.